Another New York novel, “Flying Jenny” (Akashic Books) by Theasa Tuohy, is a fictionalized account drawn from an obituary that appeared in The New York Times in 2010. As seen through the eyes of Laura Bailey, a tabloid newspaper reporter, Jenny Flynn, a stunt pilot (inspired by the exploits of Elinor Smith), begins the book by swooping under the East River bridges on an audacious flight west. 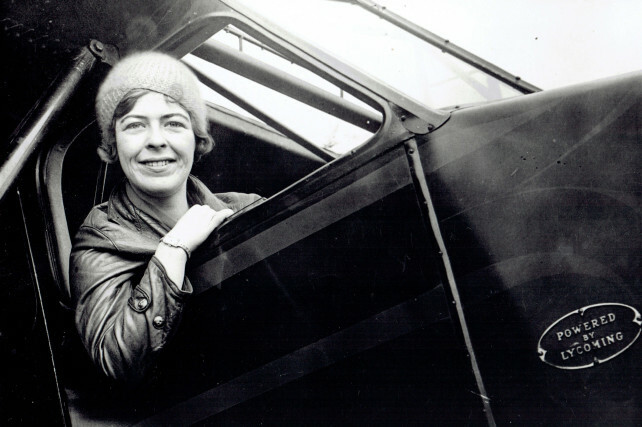 "Despite its name, Flying Jenny‘s historical novel is not a tale of barnstorming pilots and their planes. Or rather, it isn’t only that tale. On the one hand, Theasa Tuohy has written a 1929 Thelma and Louise – with more humanity and a rosier outlook... Flying Jenny is the kind of highly detailed historical fiction that reels in the reader by enticing us with both the differences and the similarities of then and now." - D. Ferrara, At The Inkwell book reviewer .